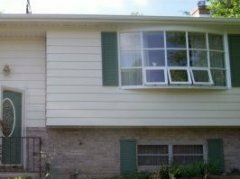 Total Service Pro offers painting in East Greenbush, NY and believes in the value of careful preparation. Therefore, we use only quality paint and materials. Our friendly, professionally trained crews will be at your East Greenbush, NY project promptly as scheduled (barring any significant rain delay). Once your painting project begins we will return daily until the job has been completed again baring any major weather delays. Our painting company believes in one crew starting one project start to finish. It’s part of our core belief in delivering the customer what was promised and in a timely manner. So rather than “pulling off” to go to another job, we will work quietly and neatly with respect for your property, furnishings, as well as your valuable time and money. We have experience painting homes and commercial painting in and around East Greenbush, NY. Please ask us for references when we come out to do your detailed written estimate. 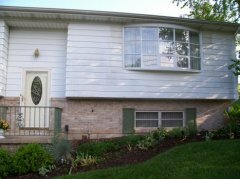 We may even have some before and after pictures of some of the many exterior painting projects we have completed in the area. How many coats of paint/stain should be applied? In some rare instances, one coat of paint may be applied if the same color and product will be used. This approach, though claimed to be effective by many paint manufacturers, rarely yields a high level of color matching, customer satisfaction or paint/stain longevity. The keys to a long life span are proper understanding of paint systems and failures, proper surface preparation, and that a two-coat process is almost always preferable. While it is possible, however, to apply one coat of primer tinted to the finish coat and one finish coat of paint. This method will not always work because of the finish (flat, eggshell, etc. ), where one finish coat will not cover over a flat primer to provide the alternative eggshell, satin, semi-gloss or full gloss finish or sheen. If all the proper preparation and steps are taken the thicker the finish coat almost always the better and longer the finish will last against the weather extremes here in East Greenbush, NY. Call or contact Total Service Pro Painting today to schedule your free detailed written estimate. And thank you for checking us, our web site out … we really do appreciate your time!